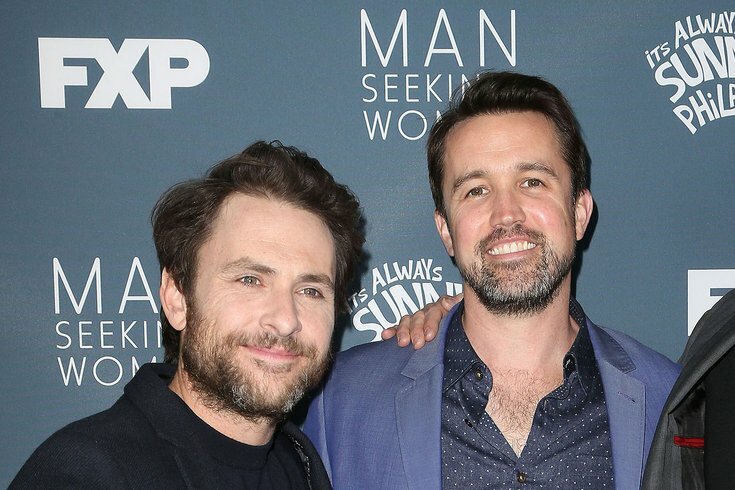 Rob McElhenney and Charlie Day, stars of 'It's Always Sunny In Philadelphia,' have signed on for a new half-hour comedy show with Apple, according to a report from Variety. Variety reports the show is set in a video game development studio, and that McElhenney, 41, is set to star in the show as well as write and executive produce with Day. This isn't Day's first notable role outside of Always Sunny - he's appeared in a few big films, including 'Pacific Rim' - but it's one of the first new ventures for the Philadelphia native McElhenney. Always Sunny co-star Kaitlin Olson, who is also married to McElhenney, starred in 'The Mick' on Fox for two seasons before the show was cancelled. And another Always Sunny co-star Glenn Howerton, who we recently learned will be indeed featured in the newest season of Always Sunny, has also branched out in the land of television, starring in 'AP Bio' on NBC. Apple's plan to roll out original content isn't yet known, but a report from the New York Times this past March said the company could begin releasing its own programming by March 2019. The 13th season of 'It's Always Sunny in Philadelphia' begins airing on FXX in early September.